Welcome Jen Pilcher, PBC's new CEO! Jen serves as the Chief Executive Officer of Patriot Boot Camp, a 501(c)(3) not-for-profit organization out of Denver, Colorado. Jen is also a proud Patriot Boot Camp alumna class of 2013. Jen recently worked as a senior strategist for Crosby Marketing Communications in Annapolis, Maryland before accepting the role of CEO of Patriot Boot Camp. 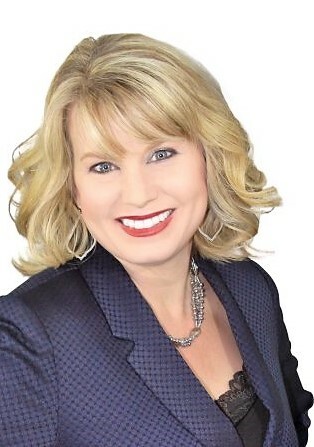 Prior to Crosby, Jen was the Founder and CEO of Strategic Military Communications, LLC and MilitaryOneClick, which provided daily content, online resources, and a social media community for millions of military and veteran families around the world. In less than 3 years, MilitaryOneClick.com went from an idea to rank among the Top 20,000 websites in the United States, while attracting advertising partnerships with companies such as USAA, Amazon, General Motors, La Quinta Inns & Suites, MetLife and Starbucks. Jen is also the creator of MilSpouseFest, the largest series of events for military spouses held across the country that attracted thousands and sponsored by USAA. Jen oversaw the successful acquisition of MilitaryOneClick and MilSpouseFest in 2015 and remained as the CEO until exiting the company in 2017. Jen was honored as the first Patriot Boot Camp successful exit for her company, MilitaryOneClick. Jen is an alumni for the USAA Influencer Program, and alumni for the Inc. Magazine Military Entrepreneur Program. She is a founding Board member of the MyVA Department of Veteran Affairs of Washington D.C. and serves on the board of The Columbia Lighthouse for the Blind. Jen’s husband, Ed Pilcher, is (still 23+ years) active duty Navy and their children, Katie is a sophomore, and Griffin is in seventh grade. They have two english bulldog rescues, who are currently eating their way through their home.